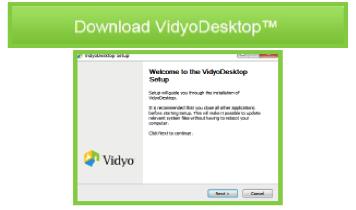 Follow the instructions on the page for downloading and installing the software. Enter your Username and Password. Then click the Log in button. 3. Once you click the Log in button, the Contact List appears. 1. Search for a contact in the Contacts Search field. 2. 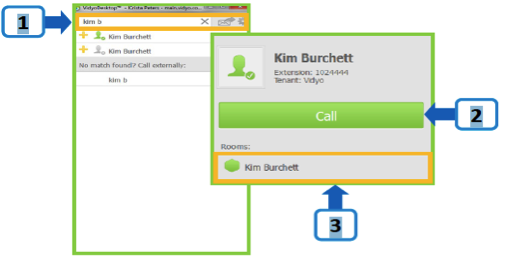 Click Call to place a point to point call just between two people. 3. 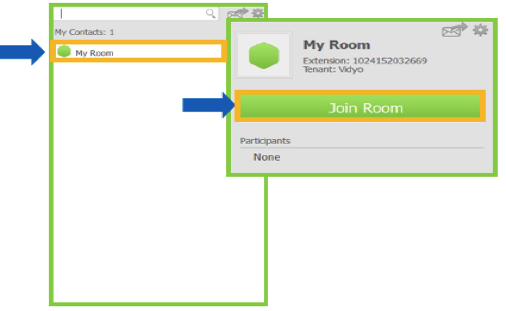 To join the person’s room (for group meetings of more than two people), click their name under Rooms. If you need to meet with more than one other person, you can host a conference in your own room. To join your room, click My Room, then select the Join Room button.